A virtuous woman’s husband trusts her. He trusts her with his finances. She carefully lives within his income and does what she can to never shame him about how much money he makes or puts him into debt. She will go without all that she wants (not needs) in order to please him. If finances are tight, she makes her food from scratch, gardens, then cans her produce or whatever she can to make ends meet. She takes care of her clothing so it will last and teaches her children to do the same. She doesn’t care about the latest styles but is content with what she is able to afford. She is careful to buy just the right amount of food that her family will eat so there isn’t anything to throw away that is wasted. She doesn’t waste her money on a bunch of expensive junk food with no nutritional value, unless he loves junk food. He trusts her faithfulness to him. She dresses modestly and never does anything to attract other men’s attention. She doesn’t flirt with men on Facebook or other places. Her heart is her husband’s alone. She is careful to guard her affections and does not even give a hint of inappropriate behavior. She is faithful to him in her thoughts and actions, thus he has no reason to be concerned. She is available to meet her husband’s sexual needs and loves doing this for him. He trusts her in his home to keep it clean and tidy. She looks well to the ways of her household. She makes sure that the children are learning to help around the home and do their part in keeping it clean. They learn to put their clothes away or in a hamper when they are dirty, not on the floor. She isn’t lazy but works hard in her home. She keeps up on the laundry so he has clean clothes to wear. He loves to bring company in his home knowing that his wife will make him proud. He trusts her to raise his children to respect him as their father, to discipline and train them properly, and to make sure they know the Word of God. Since he has to work hard to provide for the family and she is home with the children all day, he trusts she will do what is best for the children, take good care of them, and obey him when he asks them to do something. He trusts that when he asks her to do something, she will follow through on his requests. She does it as soon as she can instead of continually putting it off and then eventually forgetting. Doing what he asks of her is her priority since she is his help meet and she understands the importance of this role. He trusts her to fix meals for his family and feed them well. She doesn’t forget about dinner and then has to go buy fast food at the last minute. She makes sure she has the ingredients to make the foods he loves best. If he needs a lunch to take to work, she makes a good one for him. The other men wish their wives would care about them enough to make lunch for them and have dinner ready for them when they get home. His wife makes sure to care for his needs and he is a blessed man. 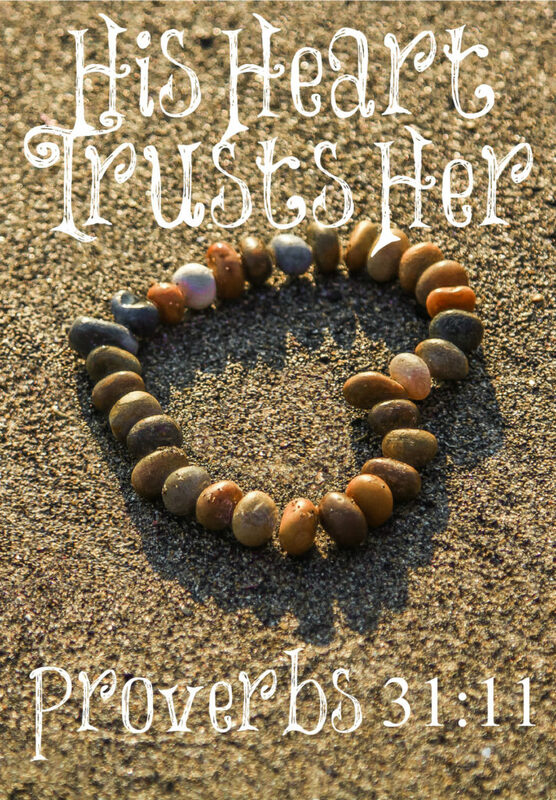 Does the heart of your husband trust you? 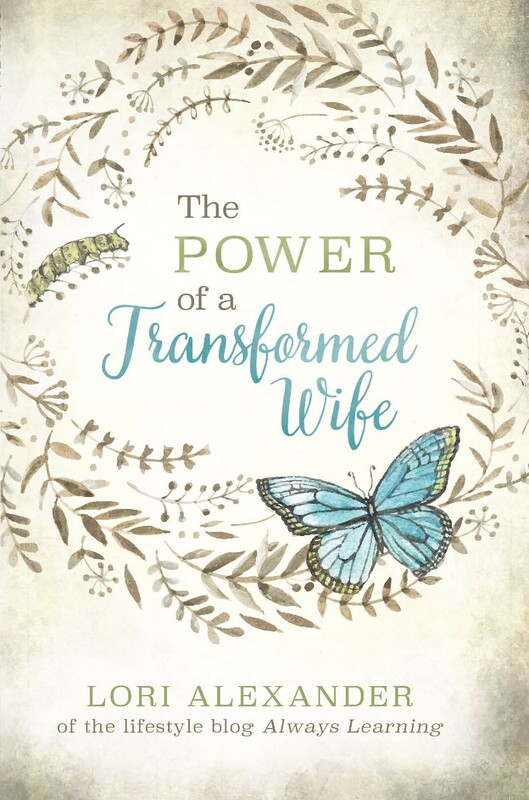 Additional foundational thoughts: Everything I have ever seen from the church on marriage and from the words of 99.9% of women [Lori, you are the very notable exception] is that all discussion on marriage topics ultimately leave the woman with the final say. She is and will remain the authority. This was the serpent’s sales pitch, and has been in every generation since. Case in point: ultimately the woman determines if her husband is reasonable in his assessment of his trust in her that you speak of. If she determines the validity of his trust, we then have cut this verse out of scripture. And then she also determines if her husband’s request for her obedience is reasonable to obey. If not, cut that verse out of scripture also. She has become the final judge of everything in the marriage. And we have what we have in the church: a Swiss cheese Bible. When we are in court, the judge and jury determines whether we are trustworthy or not. We can argue all we want but if the court holds onto its authority, it determines our trustworthiness, right or wrong in their determination. We do not determine if God trusts us; He does. He will let us know when we are not trustworthy. And, we don’t determine if His request for our obedience is reasonable. As fact, He may even do it JUST to test our submission and faith in Him – ie, how much earthly sense did it make for Abraham to sacrifice Issac? Is there any other person that ever lived [sans Christ] that would have not made the excuse that God was off His rocker? God has a Heavenly purpose: we obey, blindly. Then we can actually SEE Him. And not until then. Without that, there is an excuse to disobey every command in scripture …for we are then God, our own judge. Lori, you focus on crux [cross] issues in the church’s walk with Christ as very few others do. Thank you for answering the call. Blessings in the birth, cross, death, resurrection, and fulfillment of the Law of our precious Lord and Savior, JESUS, the Christ, our Wonder Counselor. Thank you, Dave. The Truth of God’s Word is the only thing that convicts and changes people, therefore, it is the only thing that accomplishes lasting good. This is why I love God’s Word and His Truth. You touched on a problem we experience more often than l would like. Buying more than l need and wasting food. Today we went to Costco and l bought pounds of pears, apples, lemons and tomatoes. I set aside some for my kids and and my mom, but it still am left with a lot. I try my best to use it but don’t always suceed. Hi Karen, I had that problem as well and the amount of waste was embarrassing! My husband’s grandfather would (and still does) drop off huge amounts of fresh produce from local farmers. I’d stare at grocery bags full of corn and tomatoes contemplating what to do. My husband’s grandfather explained how to can foods, which isn’t hard once you try it a few times, it’s just messy and takes some time. With an infant in the house canning was delayed, so I started dehydrating. Not only does it provide a good shelf life but it makes healthy snacks! I feel frugal when “shopping” my pantry. Karen do you know how to make jam or can some of your produce? That would be fun thing to do and you can give them away as gifts.